If you have a not heard of POPA, or Brendan Dawes yet – just a little bit of background. 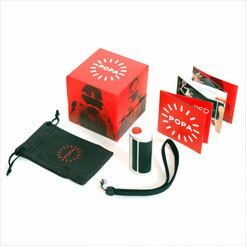 POPA was originally called Red Pop and was one of the successful projects on KickStarter. In this promotional video, Brendan introduces the prototype, telling the story behind the concept. If I wasn’t taken with the idea of this wonderful red button already – the fact that it is dedicated in such loving memory to Brendan’s father would have surely won me over. While the POPA itself is a wonderful little gadget – beautiful in concept and execution – the website is also designed with the same care and love for detail. A rhythm of squares, displaying photos, video and text, presents a site which is playful, engaging and fun ~ showing off the best features of POPA. When preparing slides for my webdesign sessions – I find myself returning to it time and time again as a perfect example of how it should be done. Excellent branding, beautiful design, well written copy ~ all coming together in a wonderful website. 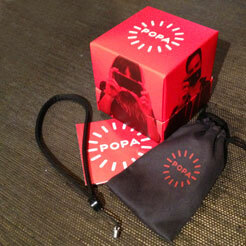 Ordering the POPA was a breeze, easy and quick without the demand for too much info. 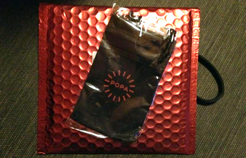 It arrived in a cute little cube box, with a lovely pouch and a handy strap which can be screwed into the tripod hole on the POPA. The POPA is only compatible with the newer iPhones and needs its custom app to work. 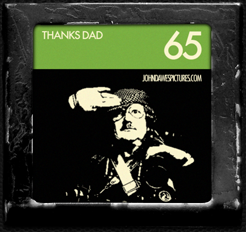 The app is free and can be used without the POPA as well. The very first time I tried it out – I was a little too careful, too gentle with it. The connection between the POPA and my iPhone did not quite work. But I soon realised that the design of the POPA is not as fragile as I thought – and it was merely a matter of ensuring a solid connection – and all worked as intended. The amazing thing is that this immediately changed the way I take photos – the phone’s camera now feels much more like a ‘proper’ camera and I never miss a shot. I always liked the iPhone’s camera – very intuitive and easy to use. But due to the focus taking a bit of time, or my wobbly holding, I do occasionally miss the moment I wanted to capture, or I miss the touch-button entirely. The solid grip and the lovely red button of the POPA means I know when I take the shot – it responds quickly. I love the way I can now get a proper grip on the camera, hold it steady, hold it straight or at any angle – it feels safe in my hand and the red button makes taking the shot so easy, it just feels great :) Though I do end up with the odd blurred shot – I like the overall interaction and quality of photos. 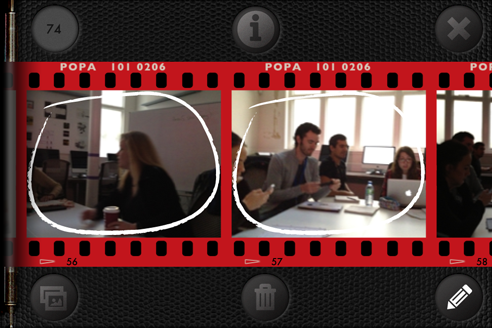 The POPA app is a thing of beauty in itself designed with a retro feel, it is a treat to use. 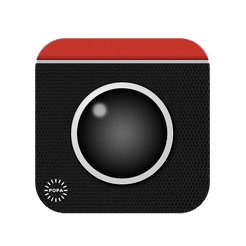 When you first open it – you see a simple and clean interface, offering a flash, a timer, a camera button and the camera roll. I love this kind of simplicity ~ easy and intuitive, no need to learn the functions: open – use, done. all in all – simply a pleasure to use. 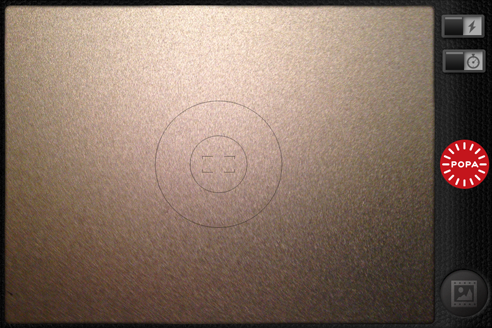 To share the photos – you get a little wheel which even makes little clickety noises as you turn it – so nice. I love design and when you see/use something that has been treated with such love and care – it is just wonderful. Now, I’m not the kind of person who loses things. I tend to look after what I have quite carefully, taking care of keeping my gadgets, tools and toys in pristine condition. You can imagine that I was quite upset with myself for losing the pouch. I considered stitching up a little bag myself to keep my POPA safe – but I was keen to have the original so I went to the site, hoping to find a way to buy a replacement. This was so pleasant and hassle-free, why is this not the norm? – This is how it should be. Thank you so much. Not only for such a lovely product which brings me joy every time I use it, and for such a beautiful app — but also for my replacement and the most wonderful customer service, ever! You are amazing! Obviously this page's design was inspired by the thisispopa.com website; video from KickStarter, some images taken from the POPA site - some taken with my POPA. Wish I had an iphone just to use Popa!